This Chardonnay has the essence of a freshly baked lemon meringue pie, green apple, and Bartlett pear. It is both dense and bright, with a hint of vanilla and cinnamon coming from its time in barrel. Aromas are so much related to experiences. It is a wine that is in the traditional Abeja style, with superb polish, complexity, and balance, yet with a light touch at 13.5 percent alcohol. "Supple, ripe and complex, with layers of pear, floral, tangerine and a note reminiscent of freshly ironed clothing. Fine acidity carries this through to a refreshing finish. Drink now through 2020. 919 cases made. 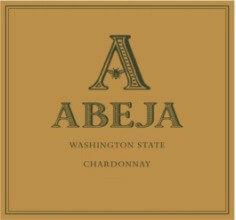 –HS"
"Abeja’s 2013 Chardonnay offers clean, crisp notes of apple blossom, white flowers, citrus and brioche. Fermented and aged in barrel (40% new), it has a solid mix of richness and freshness, is beautifully balanced, and will drink nicely for 2-3 years. - Jeb Dunnuck"
"A blend of top sites Celilo and Conner Lee, this appealing wine displays aromas of candy corn, corn silk and chamomile. The stone-fruit flavors are elegantly styled, showing a sense of restraint and balance that carries through the lingering finish." Mateo is the fruit of the friendship between two winemakers (José Ignacio Cuenca & Brian Loring), two countries (Spain & the US) and two worlds (the Old & the New). This wine is a unique blend of California's finest Pinot Noir grapes is dedicated to José Mateo Cuenca Anderson. Deep ruby color with earthy plum and cherry aromas. Full, rich plum and cherry flavors with baking spice and white pepper notes. Great structure and balance with a long, complex finish. "Dense and focused on a core of dusty blackberry, wild berry, underbrush and loamy earth notes. The flavors build and gain depth, firming on the finish. Drink now through 2022. — J.L."